The holidays are a busy time full of get togethers, meals, and gift-giving occasions. 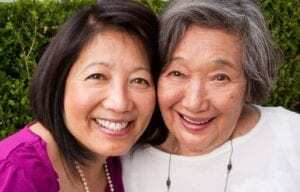 For your elderly family member, this can still be an incredibly important time that she wants to make as magnificent as possible. Elderly care services can help her to do that. Even good experiences can be stressful and the holidays are no exception. Whether you’ve got lots of family members coming into town or it’s just a busier time of year, you’re likely to feel the strain of caregiving right now. Your senior likely feels some of that strain, too. There may be a lot of things that she used to do for the holidays that are difficult for her now and that loss can be incredibly impactful for her. Elderly care providers can help your elderly family member to get her home decorated or to prepare for visitors. That might involve tackling some housekeeping tasks, stocking up her fridge and pantry, and working out how to prepare for meals. All of these are important tasks that your elderly family member might have handled on her own for years. So many of the tasks that lead up to the holidays used to be simple. Your elderly family member might have had a lot more energy, which can make a big difference. Just going shopping for holiday gifts can take a lot out of your senior. If her mobility is a problem for her, your elderly family member might not feel comfortable going out during the holiday season at all. Elderly care providers can help her to stay safe and stable while she takes care of items on her to do list. For many people the joy of the holiday season involves being able to surprise and to wow the people that they love. That’s still true for your aging adult, too. If she’s relying just on you or a few other family members, she may feel as if she’s not able to be as independent during her holiday preparations as she used to be. Having help from elderly care providers can turn all of that around for her. Elderly care providers can help your elderly family member in a variety of different ways, both during the holidays and afterward. If your senior has been reluctant to accept help from you or from home care providers in the past, doing a “test run” during the holiday season can be a good way to win her over. If you or an aging loved one are considering Elderly Care Services in Broomall PA, please contact the caring staff at True Direct Home Health Care today.